My name is Rebecca and I like to write about reading, as well as other topics that take my interest. Quentin has always loved Margo Roth Spiegelman, for Margo (and her adventures) are the stuff of legend at their high school. So when she one day climbs through his window and summons him on an all-night road trip of revenge he cannot help but follow. But the next day Margo doesn’t come to school and a week later she is still missing. Q soon learns that there are clues in her disappearance . . . and they are for him. But as he gets deeper into the mystery – culminating in another awesome road trip across America – he becomes less sure of who and what he is looking for. 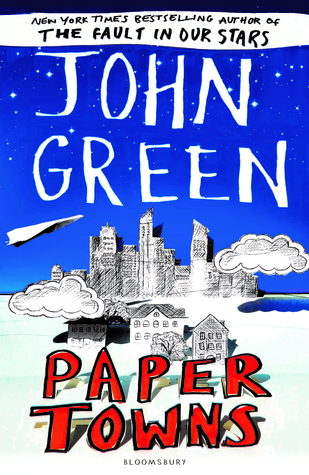 Paper Towns was a book full of insightful metaphors, beautiful descriptions, fantastic symbolism and all that other kind of stuff that John Green is just so good at. I thought that the book had a really interesting perspective on the way that we look at people and whether what we see when we look at people is actually them or just one idea of them - maybe even just one idea of many. For that reason, I found it quite thought-provoking; I was continuously thinking about the ideas the book presented throughout the story. I think it can also make you think because of the twists in the plot and the different directions it kept taking, in the search for Margo and with the different theories of what happened to her that everyone had. I liked the inclusion of Walt Whitman's Leaves of Grass, because I read it this past year at university, and I really liked the way Q couldn't quite understand it at first, and then came to understand it through coming to understand Margo. I think I might have to go and read the poem again now that I've read this book, because I think I've definitely been given a different perspective on it! P.S. I went to see the movie this week, and it was amazing! The acting was brilliant and I really loved the music that was used in the film. I'd definitely recommend going to see it (and reading the book, of course)! When I saw that the December theme for Fairyloot was Dragons, I knew I had to get the box for that month. I always enjoy Fairyloot boxes and I love stories with dragons in them, so I knew it would be perfect for me, and I certainly was not disappointed! 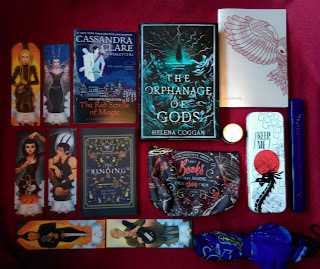 I loved the items in this box, it was all unique and creative and of good quality, and I loved the book too! I have finished reading it now, so the review should be up soon. 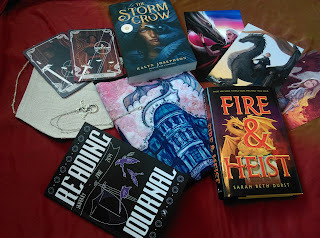 I took part in the readalong Fairyloot have started doing with each book they feature in their boxes, and I found it made the experience of reading the book even better, so I definitely recommend taking part if you ever get a Fairyloot box. I've listed each item below, with a picture and link to the designer or shop that each item came from (although quite a lot of the items were exclusive to the box which was great to see!). Beauty and the Beast is probably my favourite fairy tale, and it's been my favourite Disney movie ever since I can remember, so naturally I was so happy to hear that Fairyloot's February theme was Beast & Beauty. This was a really beautiful box that made me so happy when I opened it, and I'm really looking forward to reading the book and seeing how the story is retold. I've listed each item below, with a link to the shop or designer that created it. Wall tapestry, by Sweet Sequels. Tumbler, by Taratjah and KDP Letters. Ceramic trinket dish, by Drop And Give Me Nerdy. Roll-on perfume, by Little Heart Gifts. Belle print, by Lorena Lammer. A Court of Thorns and Roses tarot cards, by Emily Haynes. A Curse so Dark and Lonely character art print by Kayleigh with letter from the author on the back. 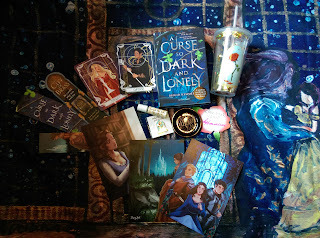 A Curse so Dark and Lonely by Brigid Kemmerer with signed book plate. Gods and monsters are two of my favourite themes in fantasy fiction, so the theme of this Illumicrate box definitely intrigued me, and I certainly was not disappointed when I opened it! 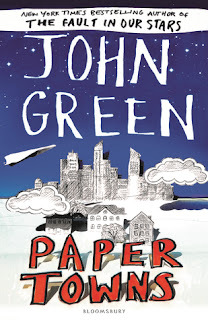 I am really fascinated by the book, so keep an eye out for a review of that when I have read it. I have listed each item from the box below, with a link to the designers or shops they came from. Monsters of Verity quote pouch by Stella Bookish Art. Dragon tin case by Moledro Craft Co. Girls of Paper & Fire chopsticks by Hey Atlas Creative. Daughter of Smoke and Bone bookmarks by Lesya Blackbird. Nectar of the Gods lip scrub by Lovely Skincare. Extracts from The Red Scrolls of Magic and The Binding. The Orphanage of Gods notebook. Strange the Dreamer umbrella by Hodderscape. Exclusive signed edition of The Orphanage of Gods by Helena Coggan with blue sprayed edges and letter from the author (not pictured).